Network Marketing Expert, John Haremza, Hosts Webinar on January 2nd, 2016 Where He Will Share Vital Tips on Making 2016 the Best Year Yet! Having a winning mindset is fundamental to getting where you want to be. On Saturday, January 2nd, at 11 AM EST, John will be hosting a 45 minute webinar in which he will share the importance of having a winning mindset, the biggest mistakes made in marketing, and the lessons he’s learned which have lead him to where he is now. “People look at me now and assume it was easy but back then I had no sales experience and no business knowledge. I struggled in sales for several months. Then I attended an event which opened my eyes to the concept of recruiting and leverage. I got it! Call it wisdom, luck or good fortune, but with hard work and a winning mindset, today I find myself a part of what will prove to be the biggest thing I’ve ever done in my life.” says Haremza. John believes that inside every person is the potential to win, it’s how to unlock that potential that can be difficult without the correct tools. In his webinar, Haremza will be offering these vital tools and more, in order to turn anyone’s dreams of their best year ever, into a reality. John Haremza lives in Fargo, North Dakota, USA and has 2 beautiful daughters. After he graduated high school, John got a job as a machine operator at the potato chip plant. When he was promoted to maintenance manager he thought that this $22,000 a year job was the best job he could ever hope for, given his severe case of dyslexia. Then he was introduced to Network Marketing and his life changed forever. John’s story is one of those American rags to riches, from adversity and obscurity, to a life of dreams. Now after spending 25 years in network marketing John has earned over $12 million. He has been responsible for product sales of over $500 million. 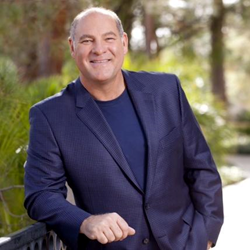 His teams have earned over $200 million in commissions and he is featured in numerous publications and has produced 100’s of sales tools to support his teams.